Research on the development of metaphor abilities in children can be dated back as far as 1960, with Asch and Nerlove's pioneering study, which concluded that children were unable to understand metaphors until middle or even late childhood. 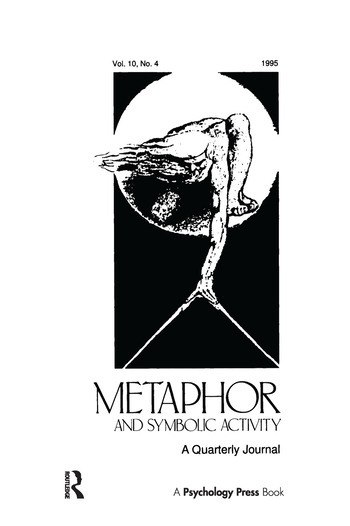 However, the study of metaphor in children did not take off until the 1970s; research continued to show metaphor as a relatively late-developing skill, based on children's inability to paraphrase correctly metaphoric sentences presented out of any situational or narrative context. In the past decade, research into the development of figurative language has broadened considerably in scope. Efforts have been underway to demonstrate the cognitive underpinnings of the ability to make sense of figurative language and to demonstrate the role of metaphor and its cousin, analogy, in the development of cognition. Metaphor is now considered to be a central aspect of language and thought and thus a crucial variable in cognitive development. The articles in this issue support the claim that no longer can any theory of language acquisition afford to ignore how children are able to recognize the distinction between what is said and what is meant and how they are able to grasp what is meant when people say things they do not mean. Contents: E. Winner, Introduction. A. de Groot, J. Kaplan, E. Rosenblatt, S. Dews, E. Winner, Understanding Versus Discriminating Nonliteral Utterances: Evidence for a Dissociation. F.G.E. Happé, Understanding Minds and Metaphors: Insights From the Study of Figurative Language in Autism. S. Vosniadou, Analogical Reasoning in Cognitive Development. V.F. Reyna, B. Kiernan, Children's Memory and Metaphorical Interpretation.